The status and responsibilities of the National Ombudsman are established by the Dutch Constitution (Article 78a). As an institution, the National Ombudsman is one of the five ‘High Councils of State’ (the others being the Senate, the House of Representatives, the Council of State and the Court of Audit). An Act of Parliament (Wet Nationale ombudsman) was passed in 1981 to define the tasks and authority of the ombudsman. In essence, the National Ombudsman is empowered to scrutinize the manner in which public sector authorities fulfil their statutory responsibilities. An investigation may be instigated at the Ombudsman’s own initiative or further to a complaint from a member of the public. The National Ombudsman is impartial and independent. He is appointed by the House of Representatives for a period of six years. The National Ombudsman is concerned with virtually every area of public administration, from government ministries and their executive agencies (such as the Tax and Customs Administration), to the bodies which administer social benefits, the police, water boards, provinces and municipalities. Since 10 October 2012, the National Ombudsman also handles complaints relating to administrative agencies on the islands of Bonaire, Sint Eustatius and Saba, which are now ‘special municipalities’ of the Netherlands in the Caribbean. The mission of the National Ombudsman is to safeguard the rights of the citizen in all dealings with administrative authorities. The Ombudsman will attempt to help citizens by investigating their complaints. He will advise where appropriate and can refer cases to the relevant public administration. He is alert to potential conflicts and will propose solutions intended to improve relations between the parties. The National Ombudsman helps governmental authorities to improve their own processes and procedures based on the findings of his investigations and published reports. Alertness: the National Ombudsman is a modern, alert organization with a professional staff who know what citizens may expect from the government. The Ombudsman encourages public sector authorities to respect the rights of the citizen and to improve their own procedures and processes accordingly. Engagement: the National Ombudsman takes a proactive approach to contact with the general public. All complaints receive careful attention and are treated with respect. Creativity: the National Ombudsman encourages open discussion of any problems, providing encouragement and assistance to government authorities as they seek creative solutions or improvements. Accessibility: the National Ombudsman is accessible to all. Communication with the public is straightforward and relies on various channels, including social media. R.F.B. (Reinier) van Zutphen (b. 1960) was sworn in as National Ombudsman on 31 March 2015 and will hold the appointment for a period of six years. Reinier van Zutphen studied law at Erasmus University Rotterdam, graduating in 1985. In 1992 he qualified as a member of the judiciary and went on to gain considerable arbitration experience both in the Netherlands and abroad, notably Luxembourg and Curaçao. 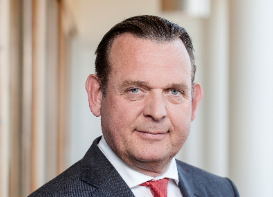 He has served as president of the Dutch Association for the Judiciary (NVvR) and as president of the Administrative High Court for Trade and Industry. Curriculum Vitae of The National Ombudsman. Margrite Kalverboer (b. 1960) was sworn in as Ombudsman for Children on 20 April 2016. 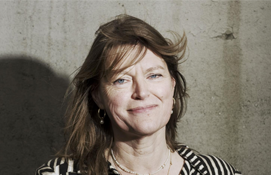 She is a Full Professor of Child, Pedagogy and Migration Law at the University of Groningen. 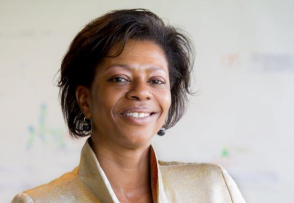 She obtained degrees in Dutch law, orthopedagogy and art and gained a PhD in 1996 in behavioural and social sciences. The Ombudsman for Children safeguards the rights of the child in the Netherlands. This independent office was created in April 2011. The Children’s Ombudsman advises young people about ways in which they can claim and assert their rights, either individually or collectively. She and her staff actively monitor the observance of children’s rights by public sector authorities and private organizations active in education, childcare, health care and welfare services. The Ombudsman for Children advises Parliament and other organizations both on request and as deemed necessary. She attempts to raise awareness of the rights of the child, thus improving the position of young people in the Netherlands. Although the Ombudsman for Children forms part of the National Ombudsman organization, she has her own clearly defined role, rights and responsibilities. She publishes her own annual report which she presents to the House of Representatives. Joyce Sylvester (b. 1965) is Deputy Ombudsman since 1 January 2016. Mrs Sylvester has extensive experience in public administration, having served as a member of the Senate, as mayor of the municipality of Anna Paulowna, and was active as consultant. Immediately prior to taking up her current role, she served as deputy mayor of Naarden. Joyce Sylvester studied Political Science and Communications, and holds a doctorate in Constitutional Law. The Veterans’ Act (Veteranenwet) was passed by parliament in 2011 and came into effect on 11 February 2012. Among its provisions is the creation of an Ombudsman for Veterans, who is responsible for safeguarding the interests of former service personnel. The Ombudsman for Veterans deals with complaints relating to public and private sector organizations which may be deemed to have a special responsibility towards former service personnel, such as health care agencies and institutions. He will investigate complaints, monitor the way in which organizations deal with any complaints brought to their attention, and may also initiate his own investigations. The Ombudsman for Veterans advises government and parliament on request and as necessary. In principle, the National Ombudsman’s sphere of influence covers all public sector organizations, including most municipalities in the Netherlands. Some municipalities, including the cities of Amsterdam, Rotterdam and The Hague, have opted to appoint their own ombudsman (or ‘ombudscommittee’) to handle complaints relating to their own procedures and service provision. A full list of municipalities with their own ombudsman can be found here. Other specialist departments include IT, the Secretariat, Communications, Strategy and Policy, and Human Resources and Financial Administration. Anyone who has a complaint about the public administration of the Netherlands can contact the National Ombudsman. The complaint may be submitted in writing (a letter), by phone or online. The Ombudsman may refer the complaint to another competent authority. He may advise the complainant about how to proceed. In all cases, his aim will be to resolve the problem quickly. To that end, he will wish to hear both sides of the story. Intervention. The Ombudsman will contact the public administration concerned to discuss the possibility of a rapid resolution. He will encourage the authority to contact the complainant directly by phone, letter or email in order to arrive at an outcome which is acceptable to all concerned. Mediation. The Ombudsman acts as an independent mediator between the complainant and the public administration. He may invite the parties to meet face to face. He will attempt to improve relations, clarify any points which require clarification, and may suggest ways in which to solve the problem amicably. Investigation and written report. If the Ombudsman decides to investigate a complaint in detail, he will ask both parties to provide further information. They are under a legal obligation to do so. Each party is given the opportunity to respond to the other’s point of view. The Ombudsman will then formulate his findings which are presented in a written report. This type of report is published (online). A letter. Where the outcome of an investigation is of interest only to the complainant, the Ombudsman may opt to present his findings in the form of a letter. He will also do so if he is unable to arrive at any firm conclusions. Letters are not published. At the National Ombudsman's request, an external company, Van de Bunt, has carried out a study into the effectiveness of own initiative investigations by the National ombudsman. Read more about it here. The National Ombudsman strives to be fully accessible to all and therefore employs a wide range of communication channels. Complaints can be submitted by letter, by phone or online using the contact form on the website. The Ombudsman also has a Twitter account and a Facebook page which are closely monitored by a webcare team. If necessary, a member of staff will contact anyone who leaves a message. The National Ombudsman’s website offers much useful information, including folders, brochures and sample letters. Reports of the investigations conducted by the National Ombudsman are published on the website. The Ombudsman produces an annual report of all activities which is presented to the House of Representatives.